The contrast class for metaphysical is empirical or empirically observable. An empirical phenomenon need not be directly perceivable using our sense organs, but it has to be inferrable by appeal to empirical data. Think of the scent of cigar lingering in a hall. That gives you some empirically perceivable evidence for believing that someone was recently smoking a cigar in that very space. 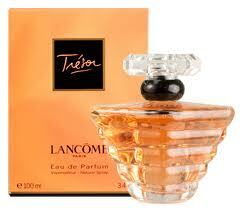 A woman wafting of the scent of Lancôme Trésor gives good reason for believing that she applied that perfume earlier that day. Empiricism is one approach to knowledge, often contrasted with rationalism (to be defined...). Empiricists are people who believe that empirical methods, including observation—whether direct or indirect—yield truth. They tend to be scientifically or naturalistically minded and may reject questions such as "Does God exist?" as incapable of being answered. But not all empiricists simplemindedly espouse atheism. They may instead sincerely maintain that there is no compelling evidence for the existence or the nonexistence of God. It's up for grabs. The jury's still out. That kind of thing. Could there be empirical evidence for the existence of Plato's Forms? The Form of the Perfect Perfume is an idea or a concept, some would say, but Plato seems to have had in mind something more significant, something metaphysically real.The Form of the Perfect Perfume would be what a real, empirically perceptible perfume would be like, if it were not mired in the lowly world of becoming. Earthly perfumes can only aspire to the realm of the Forms, including the Form of Beauty. Somehow I cannot imagine that such examples are helping anyone who wishes to come to an understanding of what metaphysics is. Let us begin again. Is reality exhausted by the things which we human beings happen to be able to perceive? Or is there more to reality than what can be reasonably inferred to exist from the deliverances of our idiosyncratic sense organs? Does a perfume never sniffed thereby cease to exist? Sounds a bit crazy, doesn't it? Nonetheless, at this point in history, our culture is quite scientifically focused. For the most part, science is thought to tell us the truth about the world. Anything which cannot be confirmed or refuted by empirical testing, through setting up a hypothesis and determining what its implications would be, falls outside of the realm of science. In this sense, religions are metaphysical, although contemporary professional metaphysicians think of their vocation as quite a bit more important and rigorous than either religion or new-age "metaphysics". But even atheistic metaphysicians have their own little "gods", their objects of faith, their fanciful theories. Among other things, metaphysicians are interested in categories. Here we can return to the case of perfume and ask whether any of the orthodox perfume categories actually "carve reality at its joints", as philosophers love to say. Or is it rather that we adopt these categories for organizational purposes? 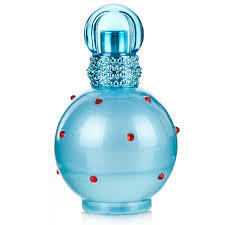 Floral perfumes are those which feature primarily floral notes. Classical chypres contain some combination of characteristic notes, often including oakmoss and/or patchouli. Floral aldehydes obviously contain a perceptible dose of aldehydes, along with floral notes. Floral green perfumes often feature galbanum. In the twenty-first century we seem to have a whole new set of categories, and this may suggest to critical minds that these really are all just conventions. Do shampoo-conditioner fragrances exist? Well, there are plenty of perfumes out there which smell just like the scent of shampoos and conditioners, so why not? Do "don't worry, be happy, never dislike, only like," SSRI fragrances exist? They have a bright and shiny demeanor, and it's easy to identify them once one has been familiarized with the "reality" of this new fragrance category. What about office-ready, inoffensive, fruity-floral frags? There seem to be lots of perfumes out there which fit that description, so why not give them their own acronym: ORIFFF? What about Oud perfumes? Is there such a thing as a real and existent category of oud perfumes, or are there only a bunch of independently produced oud perfumes, which are similar to one another in that they all (claim to...) feature oud? I think that you can see where all of this is leading. Do the categories of things named by us really exist? Or are they simply useful organizational schemes for talking about things? A skeptical take on all of this is that we make up categories to suit our purposes. There is a decision being made about how to talk about what we wish to distinguish as separate objects in the world. Scientific testing will not help in these cases. People who have limited experience with perfume may find that Chanel no 5 and Britney Spears Circus Fantasy smell very much alike. And it's probably true that they do smell more like one another than either smells like water. We call them both perfumes, even though that is a crude label which does not distinguish any of the more finely delineated categories described above. To be honest, I feel the same way about the "Perfume is art" thesis. A very few perfumes may attain the status of art, given the conditions of their production and the intentions of their creator, but most of them? That would be a conceptual confusion of the highest order. Perfumery is first a business. 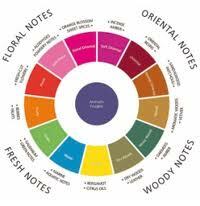 What happens beyond that depends on the individual perfumer. Sweeping claims about all perfumers being olfactory artists make very little sense at all when one reflects upon what most of them do and, above all, why. Having locked our metaphorical horns on the perfume as art question, I will sidestep that. As to taxonomy, for it seems too me to be what we are actually talking about here, this would seem to be a useful way for perfumers and perfumistas to talk as it speaks to ingredients and the characteristics of compositions. This taxonomy will help no one though except the keenly involved so for others there is advertising copy, and that as you point out will remain elastic, if not fluid and refer as much to the situation or attitude of wearing as the thing worn. Finally, I would strongly contest that a perfume that has never been smelled even by the person who composed it is not a perfume as it was not created as such and is perceived to be a thing of a different purpose. Thank you for these comments, Perfumed Dandy! I do not believe that we disagree so profoundly about the art question, because I cannot believe that you believe that every single liquid sold as perfume is a work of art. The question, then, is only what proportion is and what proportion is not? I suspect that if we were to examine the process involved in producing a perfume, in many cases we would discover that a perfumer followed instructions issued by his employer. Those cases would not count as works of art, would they? There remains a vexing question, however: beauty dropped out of the art picture in the twentieth century. Yet we only wear perfumes which we find beautiful, right? Do not all perfumers attempt to produce beautiful, wearable perfumes, and does this fact alone not suggest that perfumes are products of design? Thank you again for stopping by, Perfumed Dandy. It's always a pleasure to read you here and chez toi!